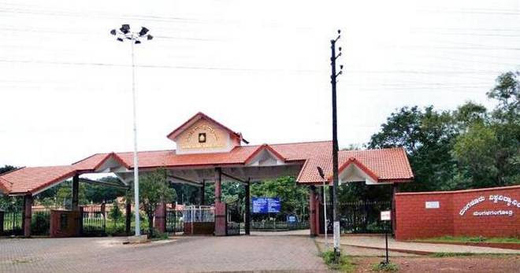 Mangaluru, Feb 08, 2019: The Mangalore University (MU), is finalising arrangements to introduce Tulu as an optional language for degree programmes under the Choice Based Credit System (CBCS) from the 2019-20 academic year. Though the Academic Council of the university has approved the syllabi, its draft statute for allowing teaching Tulu in undergraduate courses is awaiting government approval. According to A.M. Khan, Registrar (Administration) of the university, the government has sought a clarification on the script to be used for teaching and writing the language. The university has replied that it would be Kannada script. “It will not be a major hiccup for introducing the paper. We are hopeful of the government approving the statute before the commencement of the next academic year,” the Registrar said, adding that initially Kannada teachers will also teach the Tulu paper. Registrar Khan said that there will be only one common Tulu paper for all streams, whereas other language optional papers differ from one stream to another. The University Evening College, a constituent college of the university, in the city has been offering postgraduation in Tulu from the current academic year. About 20 students have enrolled for it. Its principal, B.M. Ramakrishna, said that if there are minimum number of students, the college would offer Tulu paper in the undergraduate programmes from the next academic year. Once the postgraduation students pass out, they can teach Tulu for undergraduate students. A.C. Bhandary, chairman, Karnataka Tulu Sahitya Academy, said the academy would take up a drive in some colleges to prompt students to opt for Tulu optional paper. He said the academy is also pursuing with the government to introduce Tulu as an optional language paper in the pre-university colleges. The government had, through an order on March 26, 2010, allowed schools in Dakshina Kannada and Udupi to teach Tulu from Class VI. The first batch of 18 Class X students with Tulu as the third optional language passed out in 2015. It was followed by 25 students in 2016, 283 students in 2017, and 417 students in 2018. In all, 650 students are expected to appear for the Tulu examination in the current academic year, B. Chandrahasa Rai, Registrar of the academy said.